Grunberger Interiors is a premium interior design company dedicated to creating functional and luxurious spaces that are tailored to your taste, lifestyle and budget. We also specialize in the finest quality custom window treatments, bedding, pillows and upholstery. All our products are expertly fabricated and professionally installed. We carry a vast selection of blinds, fabrics and trims, as well as wallpaper, lighting and other decorative accessories from both domestic and international sources. At Grunberger Interiors, we believe everybody deserves to live in a home they can cherish and show off for years to come. Whether you prefer contemporary or traditional trends or look to Eastern or Western culture for style inspiration, you can count on results you will love. Claudia Grunberger, principal, is originally from London, and has lived in some of Europe's finest cities, including Venice, Florence, Antwerp and Paris. After earning a degree in French and Italian from London's prestigious University College, she went onto graduate from the Metropolitan Institute of Interior Design and realize her passion to become an interior designer. Deborah Lempert Interiors is a boutique interior design firm located on the North Shore of Long Island, NY. 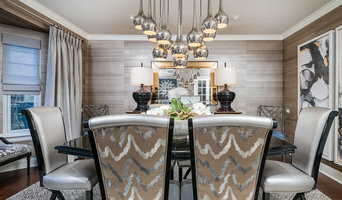 A strong connection with my clients and the ability to implement their needs and desires into a beautiful and timeless space is what inspires me. I love to play with color and texture to create a space that is warm and welcoming as well as functional and practical. My ultimate goal is to make your dreams a reality........because it doesn't have to be just a dream! Our designers are incredibly knowledgeable in the design process and strongly believe a partnership between client and designer is essential to a successful project. For 20 years both Annemarie & Rosemarie have been designing interiors that are a reflection of your lifestyle, executed flawlessly, in timeless style. Building and renovating a home is a complex undertaking. diSalvo Interiors strongly believes that the interior of your home should reflect your tastes and lifestyle. We develop a set of detailed CAD drawings outlining the space plan, custom millwork, tile selections, built ins, lighting, flooring and furnishings. We assist you in your appliance selections, your kitchen and bath details, as well as your closet layouts. Working in conjunction with the architect, contractors, and builder, we are constantly on site to manage all custom elements. Over the last several years, Rosemarie has been dividing her time between New York and Florida, assisting her clients who are potential “snow birds” or clients that have decided to become permanent residents of Florida with the overwhelming relocation process. Having purchased and sold several homes in Florida, she is uniquely qualified with assisting her clients to make the right selection of location and style of home that will accommodate their new lifestyles. The diSalvo team of artisans and experts fuss over each detail for any location. Sofas, area rugs, window coverings and all furnishings are made to our specifications through a group of highly specialized workrooms throughout the U.S. and Europe. The end result is a beautiful home, professionally and cohesively designed that reflect a very high taste level. Interior Designer Robyn Baumgarten, was rated as one of the Top 100 Interior Designers in New York. As founder and CEO of Interiors by Just Design she begins with an in-depth client interview to define their needs, wants, style and budget. Her role is to coordinate all aspects of the interior design process, from concept to completion. The homeowners can relax as Robyn works with contractors and suppliers. She allocates funds wisely, avoiding costly mistakes and finding great deals and discounts. I would describe my design aesthetic as causal elegant. Everyone of my projects is unique to each client. As a designer I want my clients’ homes to reflect how they live. Each design is a collaboration. I am a facilitator bringing spaces to life, which is what good designs should always do. Listening to your needs and wants and dreams for your home and helping you to realize them is the goal of Stacey Marks Interiors. 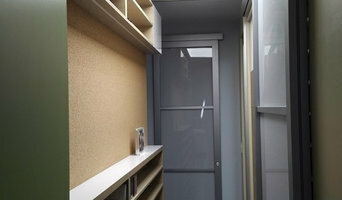 I hope to make the transformation of your house to beautiful home easy, affordable and fun! My favorite aspects of design includes wallpaper, textiles and kitchen and bathroom tile.